So far Chloe Mueller has created 52 blog entries. Editors-in-Chief Sara Peterson, left, and Chloe Mueller taught a session called: ‘Thriving in Cyberspace’ at the 91st CSPA convention, March 19. This session highlighted the work routine of the Feather and how staffers manage online outlets such as social media. After concluding their first full day in New York, The Feather editors began their Wednesday with an agenda. Deporting from their hotel at 8 a.m., students caught a subway ride and headed to Columbia University. This journey to Columbia University is the central purpose for the New York trip. 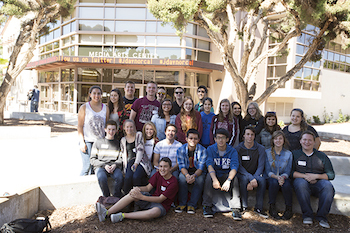 Here, the students attended – and even taught – educational, journalism-based sessions at the CSPA’s 91st annual Spring Scholastic Convention. These sessions focus on many aspects of journalism and publications. 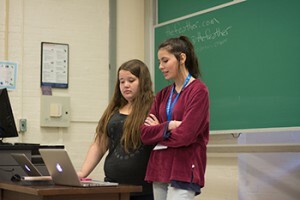 In the first session, Editors-in-Chief Sara Peterson and Chloe Mueller taught their own class: ‘Thriving in Cyberspace’. This session highlighted the work routine of the Feather and how staffers manage online outlets such as social media. Peterson, who presented for the first time, reports her initial feelings of anxiety were unnecessary, as the session went smoothly. During the second session, Callista Fries, Media Specialist, taught another group about the ins-and-outs of podcasting. Meanwhile, other staffers visited other classrooms to expand their knowledge. These classes included sessions about advertisement, young adults in the work field and interviewing techniques. After spending the morning at Columbia, the students grabbed a bite to eat as FC hits NY continues. Several students dined at Tom’s Restaurant (made famous by Seinfeld), while others stopped at a pizza parlor. After a few more educational sessions, students headed out for the city. The group took a trip to Herald Square, the home of the world’s largest store (Macy’s) and many other shopping attractions. Finally, staffers ended their night with a Broadway play. Students ended their shopping adventure and gathered together to watch Phantom of the Opera at 8 p.m. The dinner choice was left to students, who all bought food at various places. For more about the Feather in NY, read the March 17 article, FC hits NY: Day 2 (SLIDESHOW). As the final all-school events commence, take the time to focus on the important and not just the urgent. We are in the final stretch. FC marks the end of their third quarter in mid-March, leaving only one final portion of the school year left unconquered. While this news may be a source of joy for some, others are dreading pushing through this part of the school year. Just as fall may be considered flu season, the final quarter is senioritis season. Seniors that have already been accepted into their dream schools now seemingly have very little motivation to continue turning in homework, or even showing up to class. Not only the senior class is struggling, however. Nearly all members of the high school student body are dragging their feet under the upcoming load of stress in hope of a breath of relief. Many students are rushing and turning in last-minute assignments to make sure their grades are up-to-par for the end of the third quarter. On top of this, a handful are preparing for AP tests and the infamous SAT (or ACT). On top of this, even the mention of spring finals can send students into an overwhelming sense of peril. This year, FC is hosting its annual formal event: Night of the Stars (NOTS), March 28. This event hosts movies made by each individual class and plays them for the entire campus to watch. While this event proves to be rewarding fun, it does require some extra work on the students’ part. Students must make the decision as to whether they will choose to be involved with filmmaking or not. Due to the inevitable fact that this project will take up some extra time (that many feel they can not afford to spend), many shy away from this opportunity. This is the perplexing problem that every student must face, regardless of whether they are FC students or not. To get involved or focus strictly on schoolwork? Because of the daunting amount of work students receive from their required classes, many feel there is simply no time to join clubs or extracurriculars. Weigh it out for yourself: Is it worth it? The answer is unique for everyone. Some feel that clubs and sporting events are vital to the high school experience, while others feel they are a needless accessory. You make the decision. If you feel the urge to get more involved, it does not hurt to try. Go out on a limb, explore the various realms of high school. Make your experience unique to you. However, not everyone was built with the desire to be involved in every activity. Some would rather spend their time in their own ways, without an overwhelming atmosphere. That is your own prerogative. At the end of the day, the choice falls into your hands. Too many let others decide how they will spend their high school years. These four years are valuable; a bridge between childhood and adulthood. Enjoy the walk. Make the most of every moment, in ways that you will not regret when you look back on high school memories. On a related topic, please read and listen to Skyler Lee’s podcast and Column: Finishing the year strong. 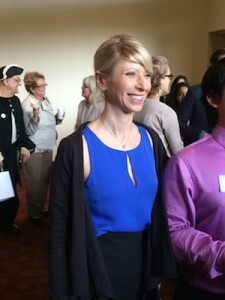 Harvard graduate Amy Cuddy shares her expertise about body language during the San Joaquin Valley Town Hall, Feb. 18. As a continuation of the San Joaquin Valley Town Hall Lecture Series, Harvard graduate Amy Cuddy made a pit stop in Fresno to share some of her knowledge, Feb. 18. Row after row in the William Saroyan Theater was filled with listeners, eager to hear what the renowned speaker had to share with them. As a pretense, I was aware that Cuddy spoke in one of the most viewed, most influential TED Talks online. I had also heard that she worked in the field of Psychology. However, I did not expect such a hands-on, applicable lesson from the Harvard professor. Before the official speech, Cuddy spent some time with the attending Merit Scholars (various recommended students from schools scattered along the Central Valley) answering personalized questions. From the moment she spoke, it was clear that Cuddy did not let her vast knowledge and academia lead her onto a track that was difficult for audiences slightly less educated on her topic (such as I) to understand. She chose simple wording to explain fascinating phenomenas. When asked about her realm of study, Cuddy explained her particular field of work within psychology. As her pre-speech audience was formed of primarily merit students, still enrolled in high school, there was much interest around Cuddy’s work on her college campus. Upon questioning about her methods, Cuddy gave examples of her teaching style – and that of Harvard Business School. While the question-and-answer session orbited around topics such as college and majors, her lecture session was based on a plethora of facts and findings on the topic that Cuddy gravitates towards most: body language. However, when many hear the phrase ‘body language’, they tend to think of how their movements affect others. On the contrary, the majority of the lecture was focused on how our personal body language can affect us and Cuddy educates on body language. A major theme was the encouragement of using ‘power stances/positions’, in which the human body becomes large and takes up space (ie., raising your arms to the sky). These positions – as studied in Cuddy’s lab – are directly correlated with a rise in testosterone levels and a plummet in cortisol levels. This balance creates a motivated human being with low stress levels. Now, while much emphasis was put on positive positioning, Cuddy also warned against ‘faking it until you make it’. Unnatural stances (positive or not) are easy to detect, and can actually have a negative effect. So, rather than forcing yourself into a broad position during a job interview, practice making yourself comfortable in a confident position at home! Cuddy explains the reasoning behind avoiding false body language, and explains her theory which she calls ‘inside out’. The next San Joaquin Valley Town Hall will be March 18 when scholars and religious leaders will host a reflection on the Armenian Genocide, discussing issues from reconciliation to contributions to American culture, arts and sciences. The presentation is Man’s Inhumanity to Man … The Last Hundred Years. Look for a review after that session by The Feather staff. For more features, read the Feb. 23 article, Scholastic Journalism Week 2015: Join the discussion. FIlm producers Travis Cluff and Chris Lofing have brought Fresno-based horror film to the big screen. Although Fresno is conveniently located in the Central Valley, between entertainment capitals such as San Francisco and Los Angeles, the city itself is rarely considered a prime area for national attention. However, the minds of Travis Cluff and Chris Lofing have brought together a film that takes place primarily on the streets of Fresno. The film, which is set to be released July 10, is titled The Gallows. The movie piqued the interest of many major film labels, but was eventually bought by New Line Cinema. The piece also has been worked on by Jason Blum, the producer of franchises such as ‘Paranormal Activity’ and ‘The Purge’. The Gallows will fall under the horror genre, and focuses on an eerie event that supposedly took place in the midwest. Because of this, a few of the scenes were filmed in parts of Nebraska. 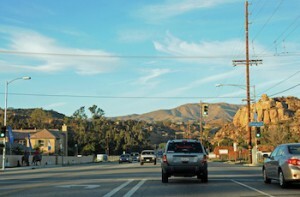 However, the primary landscape seen in this film belongs to Fresno. The purpose behind the setting is co-producer, Cluff’s association with Fresno. Cluff discussed the convenience of Fresno’s location for filming. Areas that have been utilized throughout filmmaking include everywhere from local high schools (such as Clovis West and Madera High) to the Veterans Memorial Auditorium in Downtown Fresno. The pair of directors have done one previous film together. The project was titled Gold Fools and was a faith-centered movie. Now, the two are formulating a horror movie, which may seem like a stark contrast from their old interests. Lofing discussed how the duo jumped between genres, and how finances affected this choice. Lofing goes on to share how his personal background shaped his work with The Gallows. Although the movie is debuting in July, it has been worked on for many years and is a long awaited project. The pair began writing the film back in 2011, and shot a promo trailer the same year. A good chunk of the movie was filmed during 2012, and now, in 2015, the crew is putting together the final pieces. The Gallows will be released nationwide in over 2,500 theaters. 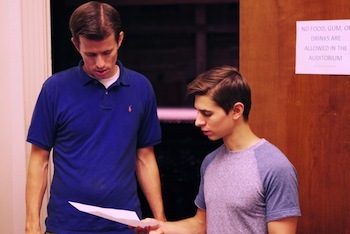 Depending on the overall success of the film, Lofing and Cluff may continue down the road of filmmaking. The two may further delve into horror, or may even try their luck in the field of television. For more features, read the Feb. 12 article, Substitute teacher makes the most of her experience. The Well hosted Hope Fresno, an event to stir racial awareness, on their north campus, Feb. 6 – 7, 2015. As a reflection of the surge of social awareness and stirrings that the United States and many other nations are facing, a local church decided to take action within its own city. Friday and Saturday, Feb. 6 and 7, The Well Community Church hosted just the event to bring some uncomfortable topics to the table. Hope Fresno was an event intended to specifically unite White and African American congregations in Fresno County, whilst simultaneously spreading the awareness of racial injustice towards citizens of African descent. Upon arrival at The Well, it was obvious that the church was packed with a racially diverse group, eager to hear what would unfold. 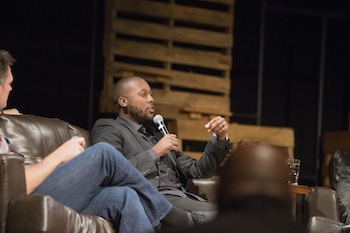 Brad Bell, head pastor of The Well’s North Campus (where the event was held), sat amongst the panel of African American leaders to get to the core of the issue. A major theme throughout the event was storytelling. Most would agree that a common goal between panelists was for no one to leave without some sort of change of heart. This goal was achieved through real-life, tangible tales of racial injustice. The panel included Dr. Paul Lawrence Binion II, Senior Pastor of Westside Church of God, Bryson White, Community Organizer with Faith in Community and Sabrina Kelly of Habitat for Humanity. The speakers all took their time telling stories of how they had been affected by phenomenon such as white privilege. Pastor Bell also spoke from his perspective, as a benefactor of ordeals like white privilege, offering the point of view that many caucasian citizens share. Bell went on to explain his new line of thinking after being introduced to the new concept of white privilege. However, the truth behind racial inequality prevailed through eye-witness accounts. Several panelists visited Ferguson during the time of the Mike Brown protests, and told the real story behind what occurred versus what the media showed. In short, not even a fraction of the true military presence and brashness was shown on news stations, whereas peaceful protesters were made to look violent. After the event was over, Sabrina Kelly took some time with staffers to explain how she got involved with the Hope Fresno cause. As she continued, Kelly revealed that her main purpose in speaking to this congregation is rooted in the idea of empathy. The panel discussion was concluded by Deth Im, from People Improving Communities through Organization, with an introduction to the activities taking place on Sat, Feb. 7. Im led exercises which were to provide an opportunity to experience systemic injustice through an exercise and then provided an open forum to share and learn from each other. Attendees also heard from the representative from Faith in Fresno, who provided statistical information about his city. The Well Community Church can be reached via Twitter: @wellchurch. Faith in Community can be reached via Twitter: @FIC_Fresno. These writers can be reach via Twitter: @_chloemueller and @_sarapeterson. For more features, read the Feb. 5 article, Surviving the flu season, how to recover from illness. In light of the recent issues surround racial and social justice, the Well decided to address the controversy, hosting their event: Hope Fresno. Recently, international headlines have been filled with issues centered on social justice. The most prominent of these particular topics is racial justice. An epidemic has broken out surrounding racial issues, partially due to a new concern for social issues and also a disregard for them. Locals have decided to address the roots of the issue hidden in their own community. The Well Community Church is taking on the challenge of facing these inequalities head-on. On Friday, Feb. 6, The Well and Faith In Community will be hosting their event: Hope Fresno. The purpose of this event is to more deeply unite the community. The church is gathering with prominent African American leaders within Fresno to discuss everything from racial injustice within our own city. The event will begin at 6:30 p.m. at The Well’s north campus, located on Nees and Maple. However, the doors open to the public at 5:30 for early entry. There will be another program the following morning from 9 a.m. until noon. The doors are open for anyone from the general public who is interested to attend. Several Feather staffers will be there to report on the event and talk to church officials. The Well encourages anyone from the Fresno community to attend the event. Chris Schultz, pastor at The Well, encourages students to attend Hope Fresno to hear a new side of the story and open their minds to new perspectives. For more news, read the Feb. 6 article, BRIEF: Winter guard scheduled to compete, Feb. 7. Valerie Plame, former CIA agent, speaks out against Bush administration and actions taken in the Iraq war. With the Feather staff, I had the opportunity to travel to The William Soroyan Theater to attend another installment in the San Joaquin Valley Town Hall lecture series. 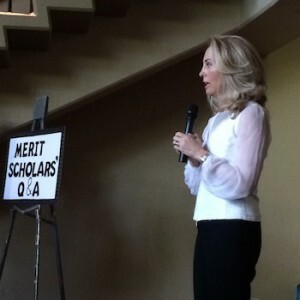 This particular session was focused on former CIA agent and spy, Valerie Plame, Jan. 21. Although, to my own misfortune, I had not done extensive research on the speaker beforehand, I heard a few stories about her prior to the trip. I caught phrases such as ‘retired spy’, ‘wife of a spy’ and ‘dangerous’. Due to my lack of personal analysis, I was not entirely sure what to believe, and headed to downtown Fresno a bit skeptical. Upon arrival, I saw a book with a well-kempt woman on the cover, bearing the title ‘Fair Game: My Life as a Spy, My Betrayal by the White House’. This piqued my interest, to say the least. Through the Honors Student Program, the handful of staffers that went were not only given free admission, but also got the priceless opportunity to speak with Plame in a smaller setting before her official lecture. The question-and-answer session offered a more personalized look at Plame and her more raw beliefs. Topics covered varied from her view on nuclear weapons (very opposed to them) to her application process for the CIA. Eager eyes followed her as she spoke about her life and interests. Plame even touched on the misfortune that occurred with the government, in which she lost her private identity as a CIA agent after her husband, Joe Wilson, exposed inaccuracies of the government’s assertion that Iraqi was trying to buy weapons of mass destruction in 2002. Of course, the whole room was waiting for her to gush her perspective on the happening, but she held back major information for her actual lecture. Once seated in the theatre’s lecture hall, we got to watch a more serious, prepped Plame tell her story. She filled the audience in on the details of her work for the CIA and her mishap with the George Bush administration which led to her resignation from the CIA, a work environment she loved. In 2003, Plame’s husband, Joe Wilson (former U.S. ambassador), published an article challenging Bush’s reasoning for going to war with Iraq. The controversy stirred by this piece stuck a nerve with many men, particularly Robert Novak, a right-wing journalist. In response to Wilson’s writing, Novak openly identified Plame as a CIA officer in an article. This choice eventually ended her career and left her exposed in a dangerous position. The full details of the scandal can be found in Plame’s autobiography, Fair Game, which now holds a major movie adaption. Plame has also written two novels, Burned and Blowback, featured around a female spy. Upon questioning, Plame showcased a very humble attitude about her crisis in 2003. A man from the audience asked about the ‘tragedy’ that fell upon Plame and her family, she responded with grace. For more articles, read the Jan. 23 piece, Student of the Month: Poojan Gopal strives toward profession in mechanical engineering . This writer can be reached via Twitter: @_chloemueller. Valerie Plame can be reached via Twitter: @ValeriePlame. 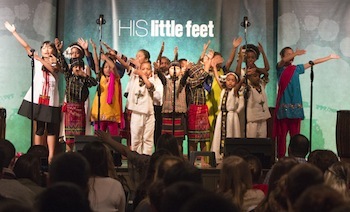 FC invited HIS Little Feet, an organization through Compassion International, to bring joy and energy to chapel. For a switch up from the regular Tuesday chapel routine, FC invited HIS little feet (an organization through Compassion International) to lead the campus in an time of worship – with the help of some adorable performers. His Little Feet was founded in 2009 as an outlet of Compassion International by Christa and Mike Hahn. Since then, they have expanded their organization nationwide, and have traveled to over 30 states spreading their message. Once students got situated in chapel, a stream of small children fled down the aisles, singing songs of praise. They then made it to the stage and led the audience in a medley of music, dance and drums. Organization founder Christa Hahn shares the mission statement of HIS little feet and discusses the tour routine. Hahn believes that HIS little feet has a large impact on teenagers who are starting their lives and causes them to look outside their normal American lives. Hahn explains the lives of the children who are on tour with HIS little feet. Feli, age 10 from India and member of HIS little feet, shares her favorite things about the choir. “I have been here for about three months, and my favorite part is to sing and perform on stage and I like to travel with my friends,” Feli said. Senior Ivette Ibarra shares her experience as she watched HIS little feet perform and how it affected her outlook on life. If you are interested in sponsoring a child, please check out the HIS Little Feet website. Follow The Feather via Twitter @thefeather and Instagram @thefeatheronline. These writers can be reached via Twitter: @_chloemueller and @_sarapeterson. For more features, read the Jan. 13 article, Student sleep triggers attentiveness, learning. As students file back into the halls for another semester of school, they discussed the most memorable moments of their winter vacation. Winter vacation has come to a close for the FC campus. It is once again time for students to set their alarm clocks and throw their backpacks over their shoulders. While the three-week vacation was generally regarded as well-deserved, a new era of excitement begins as pupils kick off a new year and new semester. While many students report staying at home for some much-needed free time and family bonding, a few took trips out of town. A common theme amongst students is a new found appreciation for family ties as they mature and realize the true importance of the holiday season. The Feather encourages readers to submit any opinions or thoughts in the comments section, and to add their favorite holiday memories. Keep checking back for more stories, as the article will be updated. After reading be sure to take a glance at the comments section for even more winter recollection! For more features, read the Dec. 23 article, Central High School students connect with French pop star. FC’s woodshop teacher of 20 years, Randy Hurley, is saying goodbye to the campus. At the end of this semester, FC is saying goodbye to a beloved teacher on campus. Randy Hurley, teacher of woodshop, is wrapping up his time spent on campus. His final day officially teaching was Wednesday, Dec. 10. Hurley reports that he is leaving the school due to a change of priorities and a new responsibility in his life. Hurley has been on campus off and on for nearly 20 years. He reflects on a particularly special experience he had when he was teaching at Clovis High Adult School. The greatest joy Hurley finds in teaching is the satisfaction of passing his knowledge and skill onto a student. He also mentions that he will miss the atmosphere of being around people in a work environment, since he is an extrovert by nature. Senior Trevor Beal appreciates the passion that Hurley put into his handicraft. Junior higher Robert Montoya, a woodshop student, expresses his gratitude to Hurley and will miss his presence on campus. Hurley said he hopes to spent some time traveling with his wife via their RV in the spring. Those who have memories of Hurley are encouraged to leave comments below this article. For more features, read the Dec. 11 article, Students participates in Christmas Crowd Hero (VIDEO). 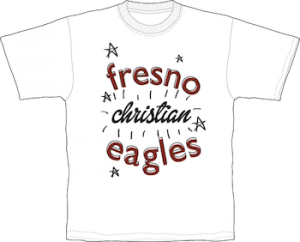 Vickey Belmont and Vanessa Markarian have teamed up to design a new line of FC spirit wear. The time has come for campus students and parents to purchase their very own FC spirit wear. This year, a variety of options will be available for anyone looking to buy tee shirts or hoodies with FC embellishments on them. A student parent, Vanessa Markarian, has teamed up with a campus representative, Vickey Belmont, and a school alumni to provide completely new fashions for the campus community. Markarian’s goal this year is to provide clothing styles that both boys and girls of all ages would be interested in. Junior Morgan Miller says that she is considering purchasing spirit wear this year, due to the eye-catching new designs. Sophomore Slater Wade reports being impressed with the new items available, particularly the more masculine options, which have been slim in numbers in years before. Tee shirts cost $15, and hoodies are selling for $40. An array of package deals are also available. All orders are due by Nov. 12 to be valid. Payments must be paid in full to be processed. A copy of the order form is available here. Checks and cash are accepted in the office, and payment through credit card may be done via Online Giving. To order your own spirit wear, simply fill out an order form from the central office and return back to the office with full payment. Please check out the eight different designs in four colors on the Fresno Christian Spirit Wear site. Order forms and information on how to make a purchase are also available on the site. For more news, read the Nov. 4 article, Mock election spurs involvement, insight. FC works to donate toys to Operation Christmas Child, an organization that sends presents to children in need. For many, the best time of year is when the weather gets colder and the days get shorter. There is one holiday that is often considered to be the epitome of winter: Christmas. While most of us pitch up our Christmas trees and wrap presents, we often let our excitement get the best of us and forget about our less fortunate neighbors. Around the world, there are families struggling to find water and edible substances. Needless to say, Christmas presents are the last thing on the minds of those in third-world countries. This is where Operation Christmas Child comes into play. This organization offers a solution to the rising epidemic of hunger and empty homes on Christmas day. Robert Foshee, leadership advisor, encourages students to participate in this event annually. This year, his goal is for 300 boxes to be donated school-wide. Operation Christmas Child works to make donating easy for anyone interested. To get involved, one must simply fill up a shoebox with toys that a child would enjoy. It is also encouraged that donators throw a few toiletries (such as toothbrushes or soap) or school supplies (such as crayons or notebooks) into their shoeboxes as well. Along with toys and everyday supplies, there is a seven dollar fee required to cover shipping and handling fees, since the boxes travel internationally. Junior Timothy Nyberg, a leadership member, believes that this is a beneficial opportunity for people of all ages. Sophomore Bree Castro, a first-year student at FC, reports not being well-informed on the event, and feels that her classmates could say the same. 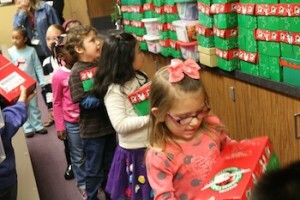 Shoeboxes were originally due to FC on Nov. 7, but the date has been extended to Wednesday, Nov. 12. If students choose not to donate through the school, there will be drop-off locations set up around your town during the week of Nov. 17-24. Please find Operation Christmas Child locations here. Follow The Feather via Twitter: @thefeather and Instagram: @thefeatheronline. This writer can be reached via Twitter: @_chloemueller. The hashtag for campus service projects are #FCGiveThanks. For more news, read the Oct. 31 article, STORIFY: 30th homecoming begins #FCgoesHollywood. The annual 30th FC homecoming game, Oct. 31. The night will include student-built floats, announcement of the homecoming court winners at halftime and the return of campus alumni. With the 2014-15 school year and football season well underway, the team will host Northwest Christian, on the FC North Field at 7 p.m., for the annual 30th FC homecoming game, Oct. 31. The night will include student-built floats, announcement of the homecoming court winners at halftime and the return of FC alumni. The 30th homecoming school week will consist of festivities including dress-up days, float building, pageantry and annual pep rally, all focused around the theme ‘A walk down Hollywood Blvd.’ and FCgoesHollywood. Each class will depict a float correlating with the week’s theme and Hollywood movie genres. The seniors will portray a western-theme, while the juniors will create a Roaring 20s themed float. The sophomores will be recreating the 1940s mafia scene and the freshmen will be combining Star Wars and Star Trek to create an original sci-fi theme. Vickey Belmont, student leadership advisor, has been working on homecoming along with student leadership students for about six weeks. Belmont looks forward to the festivities and seeing the excitment of the nominees. Mikayla Miller, ’15, has high goals for the class of 2015 this year and is planning to go all out in order to help her class come out with the win. After being nominated for homecoming queen, Miller shares some of her favorite activities so far and those she is looking forward to. Monday, Oct. 27: ‘Murica Monday, students will dress up in all of their patriotic garb to show school spirit and pride for our nation. Tuesday, Oct. 28 Grab your fanny pack, sunscreen, binoculars and anything else you would take on vacation for Tourist Tuesday. The princess pageant will also take place. Wednesday, Oct. 29: Wake up Wednesday and come to school in your pajamas for all time FC favorite: pajama day. Annual Queen Pageant will be held. Thursday, Oct. 30 Think alike Thursday: Grab a friend that looks similar to you and dress up as twins or triplets. The kings will be strutting their stuff across the dance floor during the King Pageant. Friday, Oct. 31 Fly together with the student body and wear all FC gear you can find to show support for the football game, Oct. 31. The student body will come together for a rally in the FC gym to get pumped for the night’s festivities. The Eagles will be taking on Northwest Christian for the 30th homecoming game, Oct. 31. 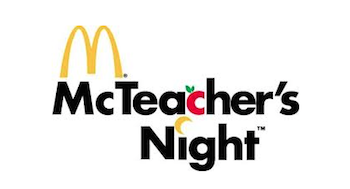 Tri-tip sandwiches, pizza and sweets will be offered besides trunks of candy for students young and old. Come check out the floats at 6:30 p.m. as well as pregame activities. Entry to the game will be $6 for adults, $3 for FC alumni, $4 for students with IDs, $4 for seniors and for FC students with IDs and children under 5 years old, entry is free. The Feather staff will be posting videos, slideshows and articles covering the homecoming festivities. Tag all your homecoming photos from the week to earn extra points for your class via Instagram and Twitter: #FCgoesHollywood. Follow The Feather via Twitter: @thefeather and Instagram: @thefeatheronline. This writer can be reached via Twitter: @_sarapeterson. For other videos, check out The Feather Video Section and watch Get to know: The Queen Pageant of 2014 (VIDEO). 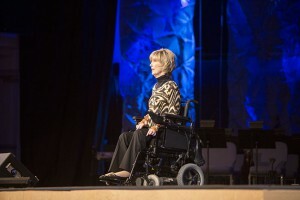 For other news, read the Oct. 23 article, BRIEF: Joni and Friends to speak on campus, Oct. 24. 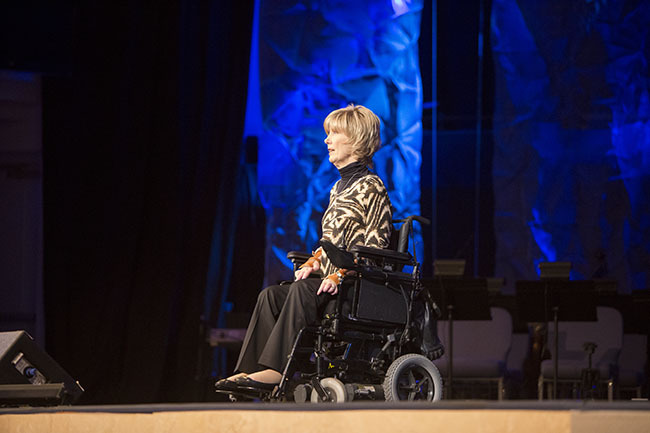 Joni and Friends has worked alongside FC to bring world-renowned speaker, Joni Eareckson Tada, on campus, Oct. 24. As members of FC, students are given many unique opportunities on and off campus. As a school, FC offers its pupils as many exciting and educational extracurricular activities as it can. One of these upcoming events is a visit from world-renowned speaker, Joni Eareckson Tada, Oct. 24. In 1967, as the result of a life-altering dive into the Chesapeake Bay, Tada was diagnosed as quadriplegic, or paralyzed from the neck down. While originally depressed with a negative outlook on life after the accident, Tada later changed her perspective and became one of the most influential women of our time. So far, Tada has released several musical albums, written over forty books, stared in an autobiographical film of her life story and spoken to crowds around the world. However, most believe Tada’s most noticeable achievement is the founding of her organization, Joni and Friends. Joni and Friends reaches out to those who have and have not been affected by disabilities alike. Built on a foundation of faith, the group helps spread the gospel message to those with disabilities. FC students are given a chance to watch and listen to Tada speak live on campus, Oct. 24. Each class is permitted one question to ask Tada. Senior Madison Seib has a special opportunity to meet Tada after the program, which she won from a raffle. School secretary Brenda Warkentin believes that Tada’s story is beneficial for all young adults to hear, and is looking forward to this school wide event. Students will have a specialized bell schedule that has a period dedicated to watching Tada, so that no one will have to miss this opportunity. For more news, read the Oct. 16 article, Annual celebration of healthy living returns. Mueller discusses the dangers of the drought and urges readers to turn from apathy and get involved in conservation. A topic nearly every Californian has heard about, but many shrug off without much thought, is the infamous drought. Often times, the drought gets brought up in small talk and is viewed as something to be taken lightly. It seems as if those who don’t believe they are ‘directly’ affected by this natural crisis are hardly concerned. However, if you take a look in the direction that California is headed, you will see that nearly no one will be left unaffected. California has officially entered into one of the worst droughts in American history. For the last four consecutive years, our nation has been desperately parched. While California, as the ‘bread basket of America’, is being hit hardest by this water loss, the drought is spreading it’s dry grasp all around the U.S. The reason that so many of us have a difficult time coming to terms with the drought, is because we have not directly suffered consequences. In majority of our own homes, we constantly have full access to water. However, not all are so fortunate. Sure, some are being asked to water their lawns less frequently and take shorter showers, but they are actually receiving the upper end of drought consequences. Tulare County is an area of California that is being hit the hardest, with many summer days reaching a triple-digit temperature. Many citizens in Tulare County have gone months without running water in their homes, and have no idea when their water will start up again. These aren’t small-scale occurrences, either. The number of homes without running water is nearly 1,000 in Tulare County alone. Fire departments are beginning to supply water to homes because there is no other access. Not only are hundreds of civilians lacking water, but also a surplus of farmers. California is a state that is known to be heavily reliant on agriculture for food and economy, so this drought is, to say the least, devastating many Californian farmers and industries. Finally, California is beginning to take measures to slow down the rapid loss of water. Some cities are fining citizens for wasting water, and some are limiting water use in homes. While there is no state-wide law limiting water usage as of now, Californians cut their water usage by over 11% during August. We’ve heard it all a thousand times: cut your shower time, don’t leave the sink running when you’re not using it, etc. But often times, we let these messages go over our heads, simply because we have heard them so often and no longer give them a second thought. Now, more than ever, is the time to put water conservation into action. While the concept of losing access to water is foreign to many of us, and seems highly improbable, we must take the facts into consideration. Because there has been very little rainfall over the past years, majority of our water supply is now coming from groundwater, which is running out at a rapid pace. So, before you water your lawn everyday, consider the consequences. For more information and an opportunity to get involved, visit Recharge Fresno’s website. Monday, Oct. 13, Recharge Fresno will be hosting an event at Oraze Elementary School from 6-8 p.m. to propose solutions to the drought. Keep tabs on the proceedings by following #RechargeFresno on Twitter or through the @CityofFresno Twitter account. This writer can be reached via Twitter: @_chloealxa. For more opinions, read the Oct. 6 column, COLUMN: Disinterest in current events is impacting a generation. For a preview to the Eagles football season and a look at their scores so far, check out the Fall sport box scores, 2014, for dates, scores, and all fall sports. Also, please be sure to check out the Eagles’ schedule for the upcoming season at Max Preps. FC is currently 3-1 overall and 0-0 in the Central Sierra League as of Sept. 20. FC’s next game will be on Sept. 26, as the Eagles play Mojave High School in Mojave. Monterey High School hosted the game between the Trinity Christian Warriors and FC. The Eagles football team crowded onto a bus and took a trip down to Monterey, Sept. 20. Monterey High School hosted the game between the Trinity Christian Warriors and FC. Although many in the crowd thought that the game was off to a slow start, the Eagles scored a touchdown, bringing the score to 6-0 by the end of the first half. Players began to heat up during the third quarter. By the end of the third quarter, the score was 6-12, with the Warriors in the lead. A mixture of excitement and fear in the audience rose as the Eagles began to make a comeback. During the fourth quarter, the scoreboard flipped, moving the score up to 20-18, with the Eagles in the lead. Within the last few minutes of the game, it appeared as if either team could snag the win. Finally, the clock stopped ticking and the score was finalized. The Eagles claimed yet another league victory, with an overall score of 20-18. Julian Castro, ’17, was impressed with the teamwork the Eagles demonstrated. Castro was named the defensive player of the game. Throughout the game, Castro had 10 tackles, an interception and defended two passes. Taylor Howard, ’16, was given the title of offensive player of the game. Howard earned three catches, all for first downs and a total of 44 yards. Head football coach, Mick Fuller, believes that the boys showed off their expertise on the field. He was also impressed that they did not waver, even when the competition stepped up. FC will head down to Mojave for their next game against the Mojave Mustangs, Sept. 26 at 7 p.m.
On top of taking over several junior high and high school PE periods, new coach Jonathan Penberthy has assumed the title of Co-Athletic Director. The 2014-’15 school year brought in a handful of new teachers to FC. One of these teachers is physical education (PE) coach, Jonathan Penberthy. 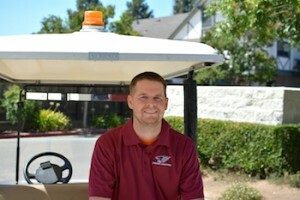 On top of taking over several junior high and high school PE periods, he has assumed the title of Co-Athletic Director. Penberthy, who has taught in the past, relocated to teaching on the FC campus to be in closer proximity to his home. In turn, he reports that the change is positive one. Penberthy is not new to a Christian school environment, and enjoys the atmosphere on campus and the time spent with his students. Since he has also taught PE once before and coached multiple sports teams, he is bringing over his experience to his new role. Junior Emmaline Krohn spends her third period in PE under the supervision of Coach Penberthy, and reports that she likes the new atmosphere that he brings to the school’s PE classes. Senior Alyssa Oakley believes that Penberthy has accomplished his goal of making PE classes more enjoyable for students. Freshman Jaden Ventura, who is enrolled in sixth period PE class with Penberthy, says that he is becoming a better athlete in the class. 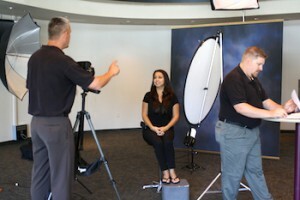 Milne Photographers, who have been doing picture day for FC since 2007, will be shooting the images. Students were given packets to pick out how many/what type of pictures they want during their advisory classes. A couple weeks in the school year, once students get situated in their daily schedules, photographers set up their cameras to get pictures for the annul picture day. Students will line up at Student Ministries, across from building 6, for pictures, Monday Aug. 25. Milne Photographers, who have been doing picture day for FC since 2007, will be shooting the images. Students were given packets to pick out how many/what type of pictures they want during their advisory classes. These packets are due Monday morning at the time your photo is taken. While you can wear anything you like, in dress code, it is highly recommended that you do not wear white or a distracting pattern. Darker colors and simple tops will produce higher quality images that do not distract from the face. Daniel Chandler, ’16 simply does not like picture day or pictures in general. Senior Aaron Dewolf admits to some disappointment about missing out on picture day. Taylor Cowlger, ’15, enjoys seeing his picture day photo in the yearbook. This writer can be reached via Twitter: @_chloemueller. Follow The Feather via Twitter: @thefeather. For more news, read the Aug. 19 article, Debate team to help improve critical thinking skills. Monday morning, Aug 11, masses of eager students and parents flooded People’s Church auditorium. The 2014-15 school year at FC is to be filled with changes and growth. Thus, it is only fitting that the beginning of the year convocation would have a few new twists itself. Monday morning, Aug 11, masses of eager students and parents flooded People’s Church auditorium. Students sat amongst peers in their grade-designated sections, chatting about their expectations for the new school year. At 8 o’clock, the audience quieted down and new Superintendent Jeremy Brown took center stage. Brown used his speech to discuss the importance of integrity and treating everyone as a neighbor. Brown utilized a short, cartoon video of the good samaritan to share his theme: Living our faith. Superintendent Brown made this the theme for the year in hopes that students might take the focus off of themselves and put their efforts into building each other up. After a prayer, the lights dimmed and the band lead a time of worship. The worship team, assembled by school alumni Tyler Duerr, played several songs. Afterward, new Dean of Students, Amy Deffenbacher, stepped to the podium to give a quick speech and dismiss elementary and junior high students. Once the entire audience was composed of high schoolers, Brown went up once again to give another, more serious talk. Brown reminded students of consequences for actions such as breaking dress code, being tardy and skipping class. One final prayer was commenced, and finally all students were excused to go find their new classes. Overall, convocation left the student body with a general feeling of excitement for the undergoing changes, and a renewed attitude towards staff and peers. Elizabeth Baker ’17 reported that she enjoyed convocation and is now excited to begin a year under Brown. Jaden Ventura, ’18, reflected on convocation and decided that worship was the highlight for him. Although convocation is an annual event to start off the school year, it holds more meaning. The gathering is an opportunity for staff to set their goals and give students expectations for the year to come. Brown hopes that his speech made a lasting impact on students and will push them to act out selflessness throughout the school year. Check back later for an upcoming slideshow of the convocation. For the 2013-14 school year, senior Tynin Fries earned the title of salutatorian. At the end of the year, schools recognize their highest achieving students. For the 2013-14 school year, senior Tynin Fries earned the title of salutatorian. Beyond simply earning a high GPA, Fries has given her time and energy into involvement in FC. Most notably, Fries has been actively involved in The Feather, serving as the sole Editor-in-Chief. 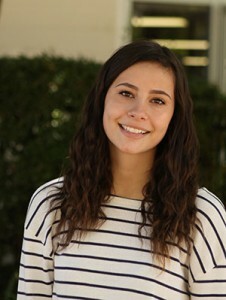 Beyond The Feather, Fries has donated her time to Student Leadership, varsity soccer for four years, drama, CSF, Spanish Club and Sister to Sister. Fries’ high school years are coming to a close, but she intends to continue to apply her hard work into college as she attends the Walter Cronkite School of Journalism at Arizona State University in Phoenix, AZ. Mueller: What was your reaction to being chosen salutatorian? [Moore] and Tyler [Laird] are both valedictorians, that makes me the salutatorian. It’s a big honor and I’m really grateful for it, but I wasn’t expecting it. Mueller: What college will you be going to? Fries: I will attend the Arizona State University Walter Cronkite School of Journalism and Mass Communication and the Barrett, Honors College, where I will receive both my bachelor and master degrees in five years. Mueller: What compelled you to choose that college? Fries: By working for The Feather the past four years, I discovered my passion for journalism. And the Cronkite school is one of the best in the nation for journalism. Plus, I love the environment and the opportunity I received to attend the Barrett, Honors College. Mueller: What will you be studying in college? Fries: I will be studying journalism, and both my degrees will be for journalism. But I might also have a minor which I haven’t decided upon yet. But I’m just really excited to begin my career in the hands-on program that I get to attend. Mueller: Did you ever expect or work towards becoming salutatorian? Fries: I wouldn’t say that I worked to gain this title, but I have definitely worked as hard as I could to get the best grades. My education has always been a top priority, and I managed to maintain the standards my parents set for me from a young age. I didn’t work for this reason; I worked because I truly wanted to learn. Mueller: What extracurricular activities are you involved in? 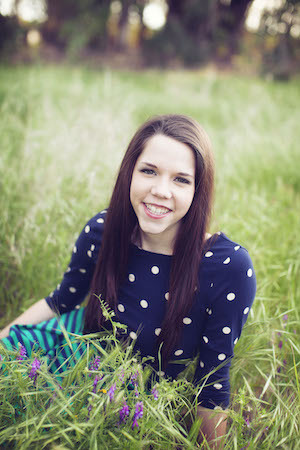 Fries: I’ve been involved in just about everything I had time to do, including The Feather, Student Leadership, varsity soccer for four years, drama, CSF, Spanish Club and Sister to Sister. Mueller: What’s your favorite class or activity that you’ve been part of? Fries: Aside from The Feather, which has been my favorite class, activity, club, and the place I discovered myself, I loved being a part of the varsity soccer team. Each year when the season came around, I had a hard choice to make of whether I could handle the extra hours of activity and less time on my academics. But by participating alongside my team, I gained the experience of being captain and leading a group of girls in something other than academics. I also was able to push myself, make life-long friends and make memories that will last far longer than I thought. Mueller: How did you accomplish achieving such high grades while still being involved in other activities? Fries: Keeping my grades priority was something I decided long before I started high school. But I was willing to sacrifice almost anything to achieve success, including sleeping. My biggest encouragement to struggling students would have to be to actually pay attention in class and study things you want to know and not just what’s on the study guide. Mueller: What has been your motivation/inspiration during the last several years? Fries: I think one of the things that kept me going was my passion. Once I discovered my passion for journalism, which I was lucky enough to know over three years ago, I knew where I was going. It’s kind of like how once all the seniors decide where they are going, they can stop stressing and start planning. Well that was my high school, planning for my life. That inspiration for planning my life pushed me to set goals for myself higher than anyone else could. Mueller: Is there anyone in particular who you feel helped you make it through high school as a better student? Fries: Greg Stobbe. He is one of the most inspiring mentors that I’ve ever had the privilege to study under. He pushed me to success and I learned more than I ever expected to during the few periods of journalism I had. Mueller: What advice would you give to younger students who aim to get high grades while staying involved? Fries: Like I said, if you make grades a priority not only will you achieve academic success, but you teach yourself how to be dedicated, driven, hard-working and how to meet deadlines, which are all skills you will need for the rest of your life. For more features, read the May 15 article, Finals are coming (2 VIDEOS). This writer can be reached via Twitter @_chloemueller. As the days go on, the end of the school year is slowly drawing to a close. May 23 is the last day of school for campus students. Although the year is dying down, the atmosphere of the school certainly has not. The last couple weeks have been filled with events and the days will continue to be jam packed with excitement until the very end. Currently, seniors are on their senior trip down on Los Angeles. They are spending their last days as high school students together. They are scheduled to visit Disneyland, Huntington Beach, and make a pit stop at an Angels game. The week of May 12 was the last week of school with a regular schedule. Starting May 19, students will have a special finals block schedule. Meanwhile, school has been bustling for those still on campus. On May 13, the music department held its final choir concert. This week will be the last week for many teachers. Junior high teacher Eric Witters, music department teacher Michael Ogdon, science and Chinese teacher Dan Harris, math teacher David Lee, PE coach Ericlee Gilmore, English teacher Greg Stobbe (who will be returning for journalism), and superintendent Debbie Siebert will all be leaving FC next year. The annual Spring sports banquet was held on May 12 and the CSF Senior Recognition banquet will be held, May 19. Sports are also drawing an end. Softball had its last game of the league, May 8. They played a playoff game May 14, but due to their loss, they will not continue in playoffs. As the school year winds down, The Feather will wind down with it. Fewer articles will be posted as there are fewer events to report on. Within the duration of the next week, seniors on The Feather staff will publish their senior reflections. Profiles on the valedictorians and salutatorian will be published, as will more information on the senior trip. Senior graduation will be Thursday, May 22. Yearbooks will also be handed out on this day. Thursday and Friday will be half days to wrap up the school year. Sophomore Timothy Nyberg reflected on his favorite parts of the school year. Nyberg also said he is looking forward not only to summer but also to the next school year. Junior Gabriela Siqueiros, who has been part of the journalism staff for two years, says that this year of journalism was much better than her first. Annually, high school students look forward to Sadies. In previous years, FC has done themes from ‘Saddle Up For Sadies‘ to ‘Road Rules‘. This year, Student Leadership decided it was time to take a trip for Sadies. On Saturday, May 3, students lined up on charter buses at 8 a.m. to head down to Six Flag’s Discovery Kingdom. Students were in the park from about 12-7 p.m., and arrived home around midnight. For the bus ride, every high schooler was given a lunch bag with various snacks. On the buses, movies were played. One bus featured the movie Frozen while the other showed The Incredibles, and vise versa on the way home. The theme for Sadies was Superheroes, so most couples were wearing matching superhero t-shirts. Some pairs went all out, with capes and complete role-play outfits. 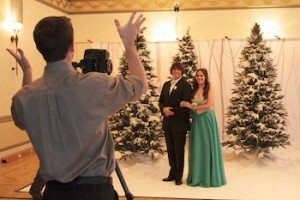 Once students arrived, they lined at the entrance to take professional pictures with their dates. Pictures came included in the ticket price. In the park, students had a lot of options for how they wanted to spend their time. Discovery Kingdom is the unique mix of an amusement park and a zoo, holding several animal exhibits. Some groups spent all day on huge roller coasters, while others visited the animals. Some even had the opportunity to ride on an elephant. Freshman Tyler Vanderlinden, who was experiencing his first Sadies, reportedly enjoyed the trip. Junior Collin Winegarden had a good time at Sadies. His only complaint was the duration of the bus ride. Sophomore Kristina Muniz liked the variety that Discovery Kingdom offers for those who are not just interested in big rides. Junior Gabriela Siqueiros, who brought a date from another school, enjoyed seeing the animals as well. Sophomore Claire Kollenkark, on the other hand, said her favorite part was the huge rides. This author can be reached via Twitter: @chloe_mueller. Follow The Feather via Twitter: @thefeather. The National Day of Prayer, a day where citizens nationwide join as one to pray for their nation and the people within it, is drawing near. The official holiday is observed, Thursday May 1. The holiday, which was signed into law in 1952 by Harry Truman, is recognized officially. Although primarily a Christian event, any religion is recognized on this day, and many religions beyond Christianity will be participating. Groups in schools, businesses and families will be taking the time out of their schedule to pray. Some are even going further than prayer by fasting and spending all day in worship. 2014 is hosting the 63rd annual Day of Prayer. The theme for this year is ‘One Voice, United in Prayer‘, which is intended to emphasize individuals resting their faith in Christ. The verse for the year is Romans 15:6, “So that with one mind and one voice you may glorify the God and Father of our Lord Jesus Christ.? Within Fresno county, prayer groups will be held at Fresno City Hall from 6 p.m. to 7 p.m. and at Clovis City Hall from 12 p.m. to 1 p.m.
Student leadership advisor, Robert Foshee, who considers the National Day of Prayer to be an important annual event, has scheduled time out of the school day for this occasion. 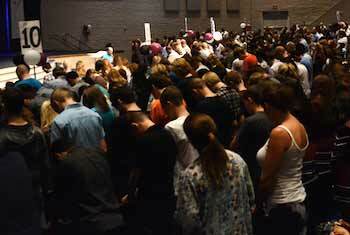 At FC, the National Day of Prayer will be combined with end-of-the-year convocation. Superintendent Debbie Siebert enjoys how this ties up the school year with unity. As time goes on, the food industry gets more and more unstable and unhealthy. Not only do ingredients become modified, but nutritional information on packages are being strewed and easy to misread. Anyone making an effort to make healthy choices must be very careful while shopping for groceries. Even though ingredients are being changed, nutrition labels haven’t made major changes for about twenty years. Nutrition labels are misleading if one does not pay careful attention to what they are really saying. One example of confusion caused by nutrition labels is serving sizes. Products which are typically consumed in one sitting are said to have multiple servings. A 20-oz. bottle of Coca-Cola appears to have 110 calories at first glance, but actually has 275 because there are 2.5 servings per bottle. This is viewed as ridiculous by many, because in reality a person will typically drink the entire bottle, not 8 ounces at a time. Another problem with labeling is although all nutrition information must be shown, the Nutrition Labeling and Education Act (NLEA) did not specify where the information must be written. Because of this, many labels have hidden their nutritional facts in small print or placed them in hard to read spots. Since people are beginning to worry about their health, U.S. Food and Drug Administration (FDA) are starting to make changes with their nutrition labels. A new template has been proposed that will feature more realistic serving sizes. Labels will also be easier to read, with bolder print for calories and serving sizes. Although the change in labeling is generally considered positive, some are still tentative about it. Some believe that since the calorie content will be in bold print, it will draw attention away from other ingredients. This will also put extra emphasis on calories, when some ‘low-calorie’ items are still very unhealthy. FC’s own art teacher, Sharon Scharf, earned her degree as a dietician before she became a teacher. Her main concern in today’s packaging is the sugar content being disguised. While most dietitians have information on nutrition, many high school students feel clueless about what they are eating. Sophomore Ifasia Armstrong says she does not know nearly as much about food as she should. Contrary to Armstrong, Junior Jonathon Brushwood thinks that most people are fairly educated on what they are eating. KMPH news anchor Kopi Sotiropulos payed a visit to FC., Thursday April 10. At 11 a.m., elementary students gathered on the athletic field bleachers to film the ten day weather forecast and Great Day faces. Students lined on the bleachers to wake up KMPH with a good morning greeting. After some fun stretches, kids gathered on the field to show off their great day faces with their classes. Kopi then visited Cheri Fraser’s third grade classroom to talk to the students about the importance of a good education and staying away from negative influences. After telling the kids the importance of reading, Sotiropulos taught the students a bit about climate. After his short lesson, he let the kids ask him some questions about his work as a forecaster. The kids were excited about their time spent with Kopi and the lessons they learned. Along with the children, Kopi reports that he enjoyed his time working with the students, as well as working with some of The Feather staffers. This writer can be reached via Twitter: @chloe_mueller. Follow The Feather via Twitter: @thefeather. For more features, read the April 10 article, Zoology performs week-long dissection. In previous years, FC has hosted everything from a western themed Sadies to to a Sadies held at Blackbeard’s. This year, FC students will caravan to Vallejo to spend the day at Six Flags Discovery Kingdom for Sadie Hawkins, May 3. 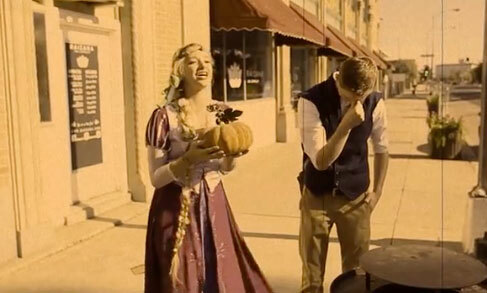 Girls have already begun to ask their dates to Sadies. The cost is $65 per person, which covers transportation, a ticket into the park, photos, and snacks. Students will be boarding a bus at FC at 9 a.m. and returning home at midnight. This year, for the first time, students will be given flash drives to hold their photos from the day of. Student Leadership and Sadie’s organizer, Robert Foshee, encourages students to attend Sadie’s this year. Sophomore Claire Kollenkark is looking forward to Sadie’s being out of town. Student Leadership member Timothy Nyberg recommends that his fellow students attend Sadies. These authors can be reached via Twitter: @chloe_mueller. Follow The Feather via Twitter: @thefeather. For more News, read the March 28 article Color guard places second, prepares for competition. The Feather staff landed in New York City’s John F. Kennedy (JFK) International Airport around 5 a.m., Eastern Standard Time (EST), March 17. The staff is made up of twenty students, The Feather’s Adviser, Greg Stobbe, and chaperone Angie Fries. With the group arriving early Mon. morning, they will be touring the city for half the week before partaking in the 90th annual Columbia Scholastic Press Association (CSPA) Spring Convention, March 19-21. Editor-in-Chief Tynin Fries, Senior Editor Viviana Hinojosa, ’14, and Multimedia Anchor Callista Fries will be presenting workshops on how to run an online newspaper as well as giving tips on podcasting. 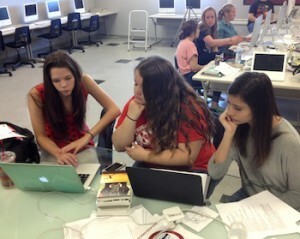 The staff will also attend other high school run newspaper classes at Columbia University. At the end of the week, the staff will attend the 2013 Online Crown Awards ceremony, in which they will receive either a Silver or Gold Crown. Most students had sleepy eyes when they arrived in New York so early in the morning, but still embarked on a busy day in the city. After dropping off bags at Hotel Edison NYC, the group visited several main attractions. First, they took a trip on a ferry from Battery Park to Ellis Island, passing the Statue of Liberty on their way. On Ellis Island students had the opportunity to do everything from watch a movie about the island to look through historical artifacts and documents. From Battery Park, the staff walked down to Wall Street, ate lunch and then made their way over to Ground Zero. There, the students got to admire the enormous 9/11 memorial. Finally, the staff wrapped up their sight-seeing with a view from the top of the Empire State Building. Afterwards, they headed back to their hotel around 6 o’clock and freshened up for dinner at Ellen’s Stardust Diner. Proceeding dinner, the group went back to the hotel to rest up for tomorrow’s day of touring. Check back for a daily account of the staff’s activities during the trip. Follow this writer via Twitter: @_chloemueller. Follow The Feather via Twitter: @thefeather. 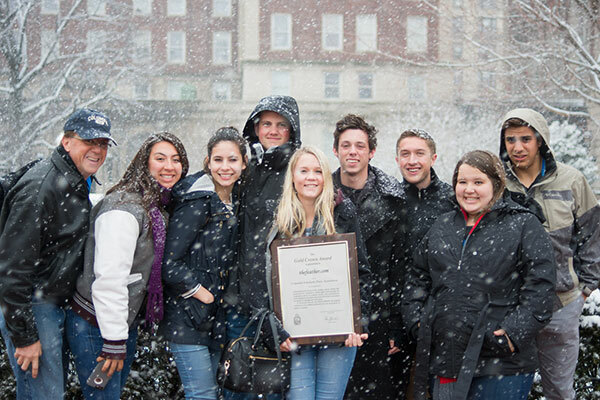 For more information, read the Jan. 7 article, BREAKING: CSPA releases Feather critique, Gold Medalist . For more news, read the March 11 article, BREAKING: NSPA honors finalists, Feather absent from list. UPDATE: March 7, 2014. 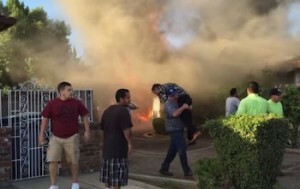 After a few days to count the proceeds, The Fresno Bee reported that a new record has been set. The Kids Day 2014 total are now over $480,000 with monies still coming in for the next few days. In the 27-year history of the event, over $6.3 million has been raised for Children’s Hospital Central California. For 27 years, Fresno has annually gathered together on one day to raise money for a special cause: Children’s Hospital Central California. Everyone from high school students to business men to a Police Chief take time out of their busy schedules to sell newspapers for Kids Day, March 4. FC’s own Student Leadership and The Feather staff woke up in the middle of the night to be on the streets by four in the morning. Even though many students only got a few hours of sleep, the general agreement was that everyone was pretty energetic?maybe from adrenaline or maybe from the several cups of coffee that most consumed. The newspapers were only set to sell for one dollar, but many donations are received; the total sales were expected to pass the goal of $485,00 and land somewhere around $500,000. Many customers would hand out 10 or 20 dollar bills for one newspaper. A freshman from FC, Jarrod Markarian, had one sale in particular that shocked him. With both The Feather staff and Student Leadership gathered on the corners of Cedar and Alluvial and Mapel and Alluvial, the students aimed to raise more money than last year. The previous year, the campus groups broke their personal record at $1,800.57. This year, however, FC raised a total of $2,593.97, impressing Student Leadership adviser Vickey Belmont. The atmosphere of the event is Belmont’s favorite part. Although majority of salesmen were high school students, the cross street of Shaw and Blackstone is named “Celebrity Corner,” where papers were sold by editors of The Fresno Bee, Clovis’s Beauty Queens, Fresno’s Police Chief and many others. Fresno Bee Editor Jim Boren makes a point to sell papers for Kids Day annually, and is excited about the mass amount this day raises for Children’s Hospital. Boren also has a special place in his heart for Children’s Hospital because members of his own family have made visits to the institution. Yet another person who has affiliation to the hospital is Fresno’s Police Chief, Jerry Dyer. He has been selling newspapers annually for many years and plans to continue in the future. Another special group selling on “Celebrity Corner” was a group of Beauty Pageant Queens from Clovis, including Miss California’s Outstanding Teen 2013 and Miss Clovis’s Outstanding Teen 2014. “The Miss America National platform is Children’s Miracle Network and Children’s Hospital Southern California is a Children’s Miracle Network Hospital and we came here to support them,” The queens said. Miss Clovis Outstanding Teen 2014, Jacquelyn Trafton, has special ties to Children’s Hosptial which motivated her to sell papers. As of today, Feb. 7, The Fresno Bee proclaimed that the central San Joaquin Valley has surpassed all the past records, totally more than $484,000. According to Marshall McDowell, director of audience development for The Bee, an estimation of 60-70% of the money earned was gathered from students selling Kids Day newspapers. For more information, check out Kids Day Still Going Strong: ABC30. These authors can be reached via Twitter: @skylerklee and @chloe_mueller. Follow The Feather via Twitter: @thefeather. For more features, read the Feb. 27 article, WSL Talent Show awards top three winners (PODCAST). FC has raised over $1,000 towards the cause and this year the goal is for Kid’s Day to net a total of at least $485,000 city-wide. Every year, Children’s Hospital Central California puts together Kids Day as a fundraiser for the children they are caring for. 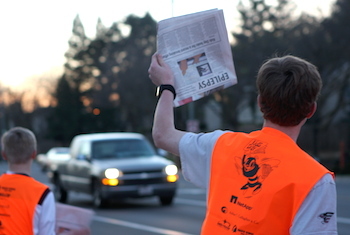 Many members of the campus community have seen or even bought a newspaper from the bright-colored volunteers selling the Fresno Bee on street corners, but FC gives students the opportunity to be one of those volunteers. This year Tuesday, March 4 will be the 27th annual Kids Day sponsored by ABC30 and The Fresno Bee and other community organizations. Members of Student Leadership must gather at 4 a.m. and The Feather staff at 5 a.m. Kids Day began in 1988 as a charity to support Children’s Hospital Central California, a non-profit children’s hospital and the 10th largest of its kind. 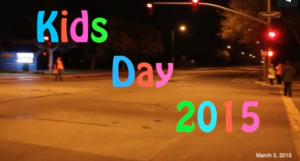 In previous years, FC has raised over $1,000 towards the cause and this year the goal is for Kid’s Day to net a total of at least $485,000 city-wide. The Kids Day paper is a special edition of The Fresno Bee that is sold for a suggested price of $1, although many buyers give a bigger donation than what is being asked for. All proceeds are returned to and benefit Children?s Hospital Central California. Adults’ and students’ commuting routine will be broken by thousands of volunteers lining the streets and selling newspapers for the 27th Annual Kids Day. The issues feature stories and profiles of young patients at the hospital. Kid’s Day doesn’t just offer an opportunity for FC to work together, but brings together the whole community. Last year students from schools all over Clovis and Fresno, restaurant workers, members of the police force and many others gathered on the streets to sell papers. Junior Gabriela Siqueiros, who sold newspapers with Student Leadership last year, is excited to be involved in Kids Day again this year. Robert Foshee heads the school’s affiliation with Kids Day, as he also has a personal connection with the hospital. Sara Peterson, ’15, who is volunteering with Student Leadership and The Feather, will be experiencing her first Kids Day on Tuesday. For more information on Kids Day, call Children’s Hospital at 559.353.7100. Volunteer information is on their web site at childrenscentralcal.org. These authors can be reached via Twitter: @ivettedibarra and @chloe_mueller. Also, find The Fresno Bee on Twitter: @FresnoBee, Children’s Hospital Central California @CareForKids and ABC Channel 30 @ABC30. When tweeting about the event, please use the hashtag #KidsDay2014. For more news, read the Feb. 28 article Jeremy Brown announced as new Superintendent. Artimus Arts is a group that began in 2008 with the goal of helping students find their own artistic voice. Since then, the organization has been hosting high school and college competitions around the US and Canada. Their previous competition, ?A Work of Art?, just ended, and they are now beginning the ?1,000 Words High School Photography Invitational?. The competition only accepts photo submissions through an online entry form. Students are allowed to submit more than one entry, but each has a $10 fee. Submissions must be sent in between Feb. 17 and March 7. Winners will be announced April 30. The first prize winner will receive $1,000, second place gets $500, third place earns $250, and ten honorable mention winners will get $100. The cash prizes are covered by the $10 entry fees. Since this is predicted to be a very widespread, competitive competition, very experienced photographers have been picked to judge. Judges will be looking for two things: Impact and Photographic Skill. Impact is how much the judge enjoys the photo and photographic skill is how students show off their knowledge of photography and its functions. The Feather?s photo editor, Rayna Endicott, ?14, believes that this competition will give students experience and exposure to professional photography. Another photographer for the Feather, Elora Hargis, 14, is excited for this competition and the creativity it will give to students. History teacher, Kori Friesen, who runs her own photography business, will be promoting this opportunity to her photography students. The Artimus Arts ,000 Words High School Photography Invitational contest is not school sponsored; thus each student will be responsible for entrance fees, submissions and knowledge of the rules. This writer can be reached via Twitter: @chloealexaaa. Follow The Feather via Twitter: @thefeather. For more news, read the Feb. 18 XXII Olympic Winter Games held in Sochi, Russia (PODCAST UPDATE) article. Currently, many schools are undergoing changes to become more technology-based. In this era, when nearly every student owns or knows how to use smart devices, not taking advantage of electronics could be a missed opportunity. This semester and in the following school years, FC is going to begin implementing electronics in the classrooms and to the students. Several years ago, FC began giving their teachers iPads to teach with. In the 2014-’15 school year they are going to further this by requiring students to bring their own devices to class (laptops, smartphones, tablets, etc.). Principal Todd Bennett has been preparing for this change for several years, when they began giving electronic tools to teachers. Bennett believes that electronic devices are more up to date than curriculum, because it is updated constantly, whereas textbooks are often years behind. Bennett feels that technology will prepare kids for college and career life in ways that textbooks cannot. Superintendent Debbie Siebert views technology as a tool that makes students more independent. “We are incorporating technology as a vital instructional tool that supports student learning across the curriculum,” Siebert said. “Students will use technology to become independent researchers and self-guided learners. Siebert is supportive of students moving to technology in the classroom, as it prepares them for the technology rich culture of the 21st century. Head of mathematics department, Michael Fenton, has been preparing for these changes and is ready to use them in his class in the next year. Fenton says he will be incorporating Google documents into the classroom as a teaching tool, and to create assignments. The students of the school are generally looking forward to this change, while some are not so sure. Freshman Slater Wade is not sure what to expect in the coming year. On the other hand, students such as Timothy Nyberg, ?16, believe that the new system will work for the best. For more features, read the Feb. 3 article, Warnors Theatre steps back into past. First Amendment SAVE FOR SJW 2015!!! In the first amendment, there are five freedoms given to the people: Freedom of religion, speech, press, assembly, and petition. Many high schoolers assume that these freedoms only affect those older than them, but they protect all US citizens from the day they can speak. Freedom of religion allows citizens to practice any religion they please without persecution, therefore allowing institutions such as our own private Christian school. Freedom of speech is often taken for granted in America. From a young age we learn that we are allowed to say almost anything without major repercussion, so we may forget that freedom is speech is a gift that many nations are not given. When hearing the phrase ?freedom of press?, many may not even know what it refers to. Freedom of press is the right to print any opinion you have over media (newspaper, television, books, etc.). In countries where this is prohibited, the people have a much more difficult time keeping up with current events, and only hear news from one point of view. Freedom of assembly may not sound like it directly affects our daily life, but it gives us the right to join together at any time for any reason. This includes everything from gathering at school to the right to protest. Freedom of petition is the right to make a complaint to the government or petition for change of law without negative consequences. This freedom is very important to Americans, allowing them to petition to make changes for their country. Many only visit The Feather?s website to read its articles but most do not know that it is also a great source of information. One of the tabs that is often overlooked is the Resource bar. The Resource bar is one of the most information packed areas of The Feather, with everything from quotes to daily news. Although the Resource bar is full of useful tools, at first glance it may look difficult to maneuver, causing students to skip over it. With a few clicks, you will find that it is actually simple to explore. Archives: a click on this link will yield access to every article The Feather has published since 2003, arranged by year and month (including printed editions). Daily News: this page is especially helpful, offering weekly announcements about events going on at FC, with news about everything from application due dates to the weekly lunch schedule. More Quotes: offers tons of quotes by authors, artists, poets, etc., arranged in alphabetical order by subject or name. Search by Subject: allows the user to find an article by picking one of the hundreds of alphabetically arranged topics. Staff Blogs: links to The Feather?s blog page, where there is access to all regularly updated blogs. Bell Schedule: shows the different bell schedules for regular, chapel and half days. EBSCOhost: a seperate website which offers full-text databases and subject indexes for students. Events Calendar: Shows events at FC, such as half days, holidays, school trips and games. FCS: links to Fresno Christian?s official website. FCS Vault: a vault of information and forms for FC students and parents, such as homework assignments and applications. Media Center: an online library that shows information on all the books held in the FC library. Maps and Directions: leads to directions to schools in the central valley area from the FC campus. Powerschool: a website where students and parents can view grades and assignments. Also offers a school calendar and bulletin board. Sports Calendar: links to a national sports website, where you can check the sports schedule of any school by typing in a zip code. Statistics about scores are also recorded on the site. Links: goes to a page filled with links to many sites. There are links to other online high school newspapers, bibles studies, college/financial aid info, entertainment, information, journalism, language, news and study helps. 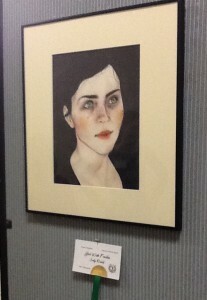 National Edition: links to the web page for the high school national edition competition. Although often passed by, the resource bar is one of the best sources of information that The Feather has to offer, reaching beyond strictly articles. Nearly everything a FC student needs to know about what is going on at school is held there. For more features, read the Jan. 17 article, Students chosen for honor choir, compete locally. The FC’s varsity cheer stunt team will be kicking off their competition season on Jan. 18, in Antioch, CA, for the United Spirit Association (USA) Regionals at Deer Valley High School. The squad, made of Hannah Avila, ?14, Rayna Endicott, ?14, Callista Fries, ?15, and Kim Ward, ?15, will be competing in the intermediate high school stunt group division. Because the cheer squad is focusing on expanding, only one stunt group of the three is going north to Antioch. The stunt group was planning on competing in the competition last year, but the previous base, Senior Emily Shakeshaft, broke her foot before the competition. The team?s head coach is Courtney Raymundo. Because Raymundo is a first grade teacher at FC and has children of her own, the team can only have two practices a week with her. Junior high cheer coach Hope Villines, who is the head cheer coach at Fresno City College, has let the stunt group join her practices at Fresno City on Tuesdays and Thursdays. One of the squad?s captains, Endicott, says that these practices have helped the team a lot. The girls plan to arrive in Antioch the night before the competition, Jan. 17. The stunt squad has planned a strategic way for getting ready in the morning on the day of competition. Check-in is at 8 a.m. and they will be first to perform at 9 a.m. the team will meet at 7 a.m. to get dressed, do their make and get their hair ready. This year, the team is using the same choreography they used last year, which they got from the gym director at Ice All Stars. This will give the squad an edge because they have had extra time to rehearse their routine. The team replaced Shakeshaft with their new base, Ward. This year the squad is not going into the USA nationals, which they usually do, due to conflicting schedules. The team is simply competing for the highest score they can obtain in each of their divisions. Co-captain, Avila believes the squad will do great at their first competition and hopes to win first place. After they go to Antioch, the squad has two more competitions in March and is planning to go to Jamfest in Long Beach on April 5 and 6. For more features, read the Jan. 13 article Drama performance requires dedication from students. This writer can be reached via Twitter: @chloemueller. Follow The Feather via Twitter: @thefeather. The new year is always a source of change for many. Together we all grow older and gain responsibility. Many students, such as myself, are resolving to work harder in school in 2014. Although most of us make resolutions, we never really stick with them. Following through with a resolution takes more than just wanting to; it takes strategy. To help you persevere on with your goals, I’ve put together some tips that can help any resolution become manageable. While many make resolutions, it’s nearly expected that we forget about them by the end of the year. Before you reach for a huge goal, you need to know how to make your resolution stick. All too often, we make our resolutions something that we think we should want, other than what we really care about. If you care about your goal, it will be easier for you to accomplish. Another factor that is crucial for following through on your plans is to get socially involved with your resolutions. Find friends who are striving for the same goal and can push you further in progress. If you have peers working with you, you will find it much more difficult to simply forget about your resolution. While forming a resolution, always start small. Often times, we plan to completely flip our lives in the new year, which is unrealistic. Small yet important changes will boost your motivation, because you are much more likely to accomplish these. Once we see actual change in our lives, it inspires us to continue working. It is important to choose a specific goal. Avoid making vague goals such as to ‘work harder’ or ‘become healthier’. Rather, decide the grades you want and how you are going to get them. If you schedule your studying and decide exactly what you are going to finish, you will likely accomplish what you are aiming for. Most importantly, don’t be discouraged if you don’t see immediate progress. My biggest downfall is messing up and losing hope. Even if you get bad grades or don’t use your scheduled time, remember that there is always tomorrow. Progress requires perseverance! This writer can be reached on Twitter at @_chloemueller. Follow The Feather at @thefeather. For opinions, read the Jan. 6 article Senior enjoys iceskating experience despite previous memories. This year, FC’s long-time superintendent, Debbie Siebert, has announced her retirement. The school board is now on the search for an individual fit to fill the title of superintendent. Siebert has worked for Fresno Christian Schools since 1989: for twenty-five years. Before she filled the role of superintendent she was a learning resource director for the school and helped form the curriculum for K-12. This year will mark her seventh year as superintendent. As a superintendent, Siebert has shaped the movement of Fresno Christian Schools for the better. As Siebert reflected on the changes she has embedded into the school, she expressed her hopes that a new leader will continue in her footsteps while incorporating their own touches. 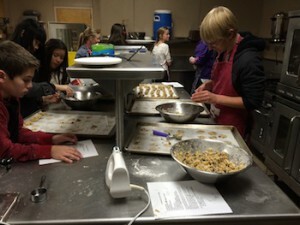 Wednesday morning, while most students were sitting behind desks, the students taking home economics were spending their class time down in the kitchen, Nov. 20. The class spent the day tackling a special project: rolling up a nine-foot burrito. Students took turns spreading on beans, sprinkling cheese and piling on meat. For the grand finale, all students gathered in a row to roll up the burrito and eat lunch for breakfast. Sophomore Ali Cowan, who came into the kitchen a little late, was surprised to hear that the class was attempting to put together a nine-foot burrito. Sharon Scharf the home economics teacher got the idea from trying to out-do a recipe she found on the La Victoria web site. For 14 of the 16 years Scharf has been teaching home economics, her classes have created burritos made to impress even the hungriest teenager. And often the normally lunch or dinner meal has become a breakfast staple during first semester. Once finished, the students all cut off a part. Most everyone seemed to enjoy the results. For more features, read the Nov. 18 article, Gaines stars in drama production, leads cast . National Merit is a scholarship competition for high school students who took the Preliminary SAT (PSAT). Using test scores and responses, about 16,000 out of the 1.5 million students who took the test are chosen as National Merit semifinalists. These students will then be siphoned down to 8,000 who receive a scholarship. This year, Fresno Christian has the honor of having a student who has earned the title of semifinalist: senior Daniel Moore. Moore is the son of Richard and Janet Moore and brother to campus sophomore Andrew. He has attended Fresno Christian since kindergarten, and has taken the PSAT every year from freshman to junior year. Although Moore did not necessarily expect to be chosen as a semifinalist, taking the test in previous years prepared him to do well in his junior year. School academic advisor, Michelle Warkentin, is proud of Moore?s efforts and believes that he may come out with a scholarship. When asked if he expects to move further in the competition, Moore plans to try his best. “I?ll do my best to advance in the competition and get a scholarship,” Moore said. Outside of academics, Moore is involved in a wide array of activities. Through school he is involved in tennis, cross country, soccer, choir and journalism. Outside of school he enjoys reading, games and plays piano. Although National Merit is a scholarship program, it offers much more than just an opportunity for a scholarship. Many colleges offer scholarships to students for simply being semifinalists. Students chosen for this program will also get extra recognition from colleges they apply to. Moore has sent applications to Cal Poly, USC, UCLA, and UC Irvine for a major in mechanical engineering. This author can be reached via Twitter: @_chloemueller. Follow The Feather via Twitter: @thefeather. For more features, read the Nov. 13 article, Annual parade honors veterans, offers community. The school year is buzzing by, and before we know it Christmas will soon be upon us. The drama department has been preparing their holiday production, The Best Christmas Pageant Ever, which will feature seniors Tynin Fries, Kyle Hudecek, Johnathan Nyberg, Robbie Hill, Aliciana Quintana and junior Caitlin Gaines. The cast is set to perform four different times: twice on Friday, Nov. 15 for the student body, at 7 p.m., Nov. 16 and again at 4 p.m. for their matinee showing, Nov. 17. The play puts a spin on the typical Christmas pageant. The story follows a clean-cut neighborhood performance that is infiltrated by town troublemakers, played by a mix of junior high and high school students. Drama teacher and director, Susan Ainley, smiled when asked her expectations for the performance. Aliciana Quintana, who has a starring role in the performance, points out the unique aspects of the play as a reason to watch it. For more information about showings and tickets, contact Susan Ainley via email. For more news, read the Oct. 31 article, Fall attractions kick off holidays. In recent years, the number of teenagers getting their licenses has steadily dropped. Less than half of teenagers obtain a license within a year of the eligible age. In recent years, the number of teenagers getting their licenses has steadily dropped. Less than half of teenagers obtain a license within a year of the eligible age. Only 70 percent of 19-year-olds have their licenses now, as opposed to the 87 percent in 1983. While researchers try to determine what is behind this fall, some say it is the rising cost of sitting behind the wheel. As time goes on, prices only grow. Insurance, gas and repair prices have inflated to a price that many high schoolers cannot pull out-of-pocket. Due to costs, many students are only moved to get their license if it is a necessity. One example of a high school student waiting to get her license is senior Annaleah Madison. Another factor is the risk of earning a traffic ticket. Every year, the price of traffic tickets go up. As the price of tickets goes up, so do the number of citations issued. Although the base fines seem reasonable, fees are hiked up with penalties which can bring the total price up by four or five times the original amount. The penalties include anything from DNA identification to county penalty assessments. Thanks to these extra fines, a ticket with a base price of $100 can cost over $500. An option for ticketed drivers to consider is traffic violator school. By attending traffic school one may cut down their ticket price and erase the misdemeanor from their driving record. On the other hand, traffic school comes with a fee and requires time. Another consideration is insurance. Even the most responsible teenage driver has a much higher rate of insurance than an adult, simply because of their age. After receiving a ticket, insurance prices shoot up even more. Edith Tarra, employee at Traffic Depot, pinpoints insurance as the biggest reason to enroll in traffic school. “Easily the number one reason high school students enroll in traffic school is to keep their insurance rate from going up,” Tarra said. Apart from lowering ticket price and reducing insurance rates, many people question whether traffic violator school is actually beneficial to the driver. Although most view the class as a simple way out of a giant fee, Tarra believes that the course is helpful to drivers (especially high school students). Although the number of students getting their licenses has dropped, those that do rarely regret it. For junior Breanna Jennings the pros of holding a license outweigh the cons. As for the dangers of the road, Jennings offers the simple advice for being safe on the road. As a student, she is cautious of the dangers of other drivers. This author can be reached via Twitter: @_chloemueller. For more features, read the Oct. 23 article, Yearbook staff travels to Jostens, tours factory. Every fall brings in new classes, early mornings and a busy schedule for students, but as the school year starts, so do Friday night football games. To end the school week, students gather together to cheer and support their football team. Although FC is a relatively small school, the football team is always growing. This year the team has nearly 30 players. Of these 30, four members have been selected to be team captains. One of these captains is senior Bobby Christopher. Although he is the first in his family to be involved with football, he knew he wanted to play. In the sixth grade, Christopher joined the football team for the first time. Senior Zachery Jakusz, a fellow member of the football team, pinpoints Christopher?s biggest strength to be his speed. While Christopher can be competitive, not everyone views this trait as a weakness. Varsity football coach, Mick Fuller, lists enthusiasm as one of Christopher?s strong points. Christopher has drive and ambition for the football season. He believes that the team needs to work on being more focus during practice in order to be successful. Self-control on his emotions and executing his position better as running back and outside line backer are the main things he plans to work on. This year, a decision has been made to switch the football team from eleven-man to eight-man. Initially, Christopher was skeptical about this change, but now appreciates it. As in any sport, football has its highs and lows. Although Christopher says he is enjoying this season, not every year has been so smooth. Overall, Christopher is said to be an enthusiastic leader who understands concepts beyond throwing a ball. As a player, Christopher is only improving, and Coach Fuller says he is honored to have Christopher as a captain of his team. To support Bobby Christopher on the field, attend the next home game on the North Field, beginning at 7 p.m., Sept. 27. This author can be reached via Twitter: @_chloemueller. Follow The Feather via Twitter; @thefeather. For more sports, read the Sept. 25 article, Cross county sports shorts: Sanger Invitational. One of the highlights of the school year and football season is the annual Beach Trip, Sept. 20. For $35 students can claim a seat on the bus where they can travel to the beach with their peers. After fifth period, students will crowd into buses to head to the coast to support their football team, and spend some time under the sun. In mid-October of last year, the high-schoolers made their way to watch the FC football game in Watsonville. While the football team practiced, students spent the day on Sunset Beach. Buses didn?t return to Fresno until nearly 2 a.m. in the morning. Due to injuries, FC had to forfeit the game. Regardless of this disappointment, most students reported that they had a great time. This year, the beach trip is taking place on Sept. 20 where students will spend the afternoon on Cayucos Beach, and then head to Cambria to watch the football match between FC and Coast Union High School. Sign-ups began on Sept. 9, and will continue until all bus spots fill up. After all spots are taken, students will be put on a waiting list. Student Leadership teacher, Robert Foshee, recommends getting your check turned in immediately. Your name will not be on the list until you turn in your payment. The $35 fee covers your round trip bus ride, lunch, and ticket into the football game. Sophomore Ifasia Armstrong, who went on the trip last year, says she is excited for this year’s trip. Ileana See, ’14, says that even though the football game was ended early, the trip was still worthwhile. For more news, read the Sept. 10 article, BRIEF: Leadership hosts first Fifth Quarter, Sept. 13.